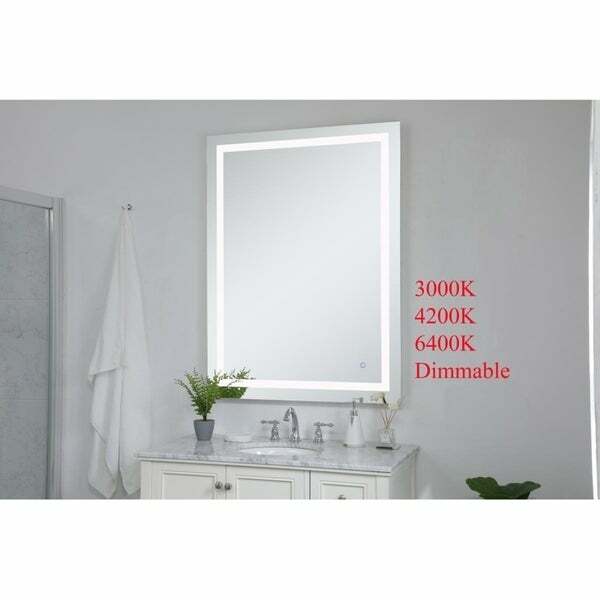 Brighten your vanity with the Avalon LED mirror. This dimmable mirror has a touch sensor that allows you to switch between color temperatures. The LED lighting behind an inset of frosted glass casts a bright, even glow on your contemporary bathroom.